Cyhra, a new band featuring ex-Amaranthe singer Jake E., ex-In Flames guitarist Jesper Strömblad, ex-In Flames bassist Peter Iwers and ex-Annihilator drummer Alex Landenburg, have wrapped up the video for ‘Karma’ – lead track from their forthcoming debut album, ‘Letters To Myself’. 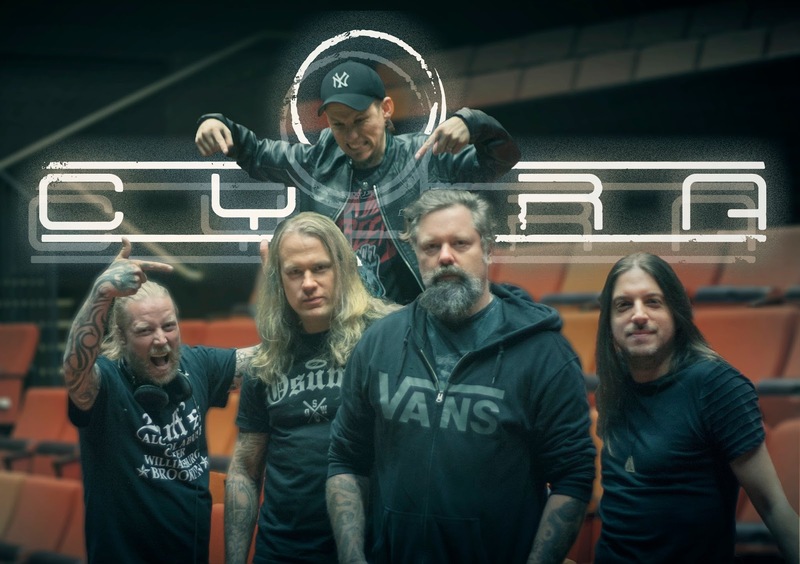 “We’re thrilled to inform that Finnish guitarist Euge Valovirta (e.g. ex-Shining [SWE]) will be joining Cyhra as our fifth member! Euge has already contributed to our forthcoming new album ‘Letters To Myself’ by playing lead guitars, and he’ll be shredding with us live as well.